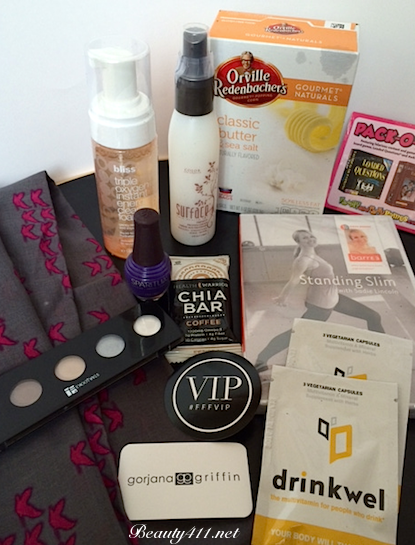 I just received my FabFitFun VIP box for Fall and it’s another winner! I’ve really come to love the blend of beauty and lifestyle finds in these boxes. What’s even better is that you don’t get teeny tiny sizes–these are full size products! A Gorjana Scarf, grey with a bright pink canary pattern, that can be worn with everything from jeans to dress-up. Bliss Triple Oxygen Instant Energizing Cleansing Foam – This citrusy smelling cleanser is perfect for all skin types and with Vitamin C in it, wakes up skin. barre3 Standing Slim DVD – I hadn’t tried a barre3 workout before, so I’m saving this for winter days when it’s too cold out to go to the gym! Also inside: a one-month promo code to access over 100 barre3 online workouts. Starlooks 5 Shade Shadow Palettes: Another line I haven’t tried, this neutral palette has 5 versatile eyeshadow shades that are nice quality. And I love the chic case! I had been wanting to try this line, so was pleased when I saw it in the FFF box. SURFACE ‘TRINITY Protein Cream: This protein cream instantly smoothes, strengthens, nourishes and protects the hair without any harsh chemicals. I like that you can use it on wet or dry hair. Health Warrior Chia Bar: I’ve been curious to try a bar with Chia seeds in it and these 110 calorie bars are healthy, taste good and great for after working out. I would buy these again! There are more things in the box, too, like Orville Redenbacker’s Classic Butter & Sea Salt Popcorn (healthy snacking! ), a SpaRitual Nail Polish in Illume, which is a gorgeous purple creme and Drinkwel vitamins (for those who drink). 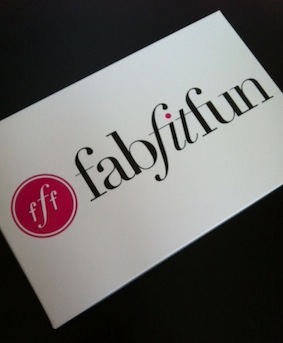 I get the opportunity to try many subscription boxes and FabFitFun is one that I can get behind. I really like the assortment and you definitely get your money’s worth. At just $49.95 and valued at over $175, each VIP Box offers high quality, interesting, full size products at a reasonable price. 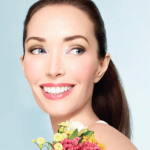 Members receive a new VIP Gift Box seasonally (four times a year) with the ability to cancel at any time. Have you tried the FabFitFun box? 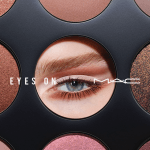 Disclosure: A PRESS SAMPLE WAS RECEIVED BY THE BRAND/PR FOR EDITORIAL CONSIDERATION, PRODUCT TESTING, PHOTOGRAPHY AND REVIEW.